The Township Vibe in South Africa-IRRESISTIBLE! South African Townships have an irresistible soul and vibe that will welcome you and give you the experience of a life time! Alexandra, or “Alex” as it’s affectionately known, is Gauteng’s oldest township. It a cut–out section of the affluent suburb of Sandton. Alexandra was established as a residential area in 1905 by a white farmer who wanted to establish a white suburb and named it after his wife. In 1912 it was transformed into a ‘Native Township’ where black people were allowed to buy land. When black land owner rights were dissolved by the Native Land Act of 1913, Alexandra witnessed continuous in-migration due to its proximity to employment opportunities in Johannesburg. Alex is the hub of culture, root culture. It also has its own community radio and TV station. Popular culture like theatres in the townships was a dynamic force which gave life and a dynamic force that gives hope to people. Soweto is the fifth most popular destination for overseas visitors to Gauteng province. It’s Jozi’s tourism drawcard. 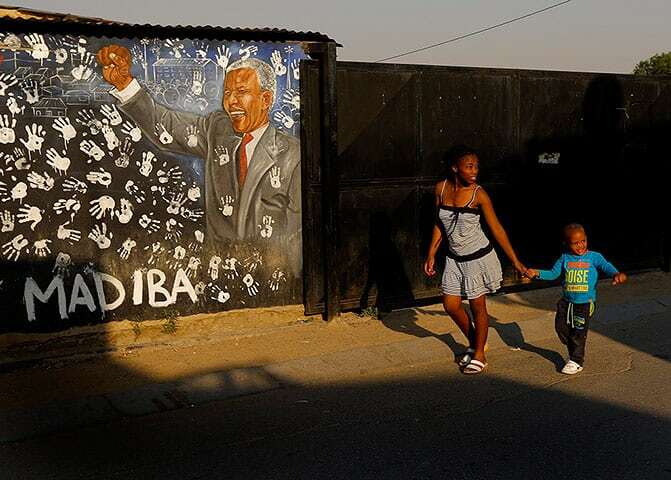 One of the biggest attractions is the Mandela Museum, in Vilakazi Street. The former four-roomed home of Nelson and Winnie Madikizela-Mandela is a deeply moving experience, that reminds us of our past, and gives us hope for the future. One of the biggest attractions is the Mandela Museum, in Vilakazi Street. The former four-roomed home of Nelson and Winnie Madikizela-Mandela is a deeply moving experience, that reminds us of our past, and gives us hope for the future. The Hector Pieterson Memorial is three blocks from where 13-year-old Hector was shot and died on 16 June 1976. On the day when students in Soweto marched against the repressive imposition of Afrikaans in schools. A Soweto trip is incomplete without visiting the Regina Mundi Catholic Church, the largest in Soweto. A spiritual haven for many Sowetans and played a pivotal role in the history of resistance to apartheid. If you’re planning a wedding how about the Ubuntu Kraal? It’s collection of straw-roofed rondavels that form a homestead, popular as a wedding and conference venue. The Soweto Festival is held annually every heritage day weekend. The venue is the magnificent Walter Sisulu Square in Kliptown, the site of the signing of the historic Freedom Charter by anti-apartheid organisations in 1955. This is the ideal place for the people of Soweto to congregate over Heritage weekend as the Square is a national monument. The Soweto Festival centres around an exhibition and day-long entertainment events. The Katlehong township area smouldered with political tension in the early 1990s and the name was associated with violent protests and a low-level civil war amongst factions. Art Centre has evolved into a showcase of exquisite ethnic artwork are influenced by township emotional turmoil themes. Previous Previous post: Safari in Namibia – Quiver Trees, lions, zebras, giraffes and more….